Under Armour, the sports apparel brand, has unveiled details of its multi-platform partnership tie-up with MTV. Under the deal, Under Armour will be fully integrated into a bespoke episode of international franchise, 'Made'. The deal was brokered by MAKE Amsterdam and on behalf of the sports brand and Be Viacom – the in-house brand solutions division of Viacom International Media Networks (VIMN). The series, which showcases young adults that have overcome personal challenges and adversity to achieve their dreams, will aim to increase awareness of Under Armour across Europe. 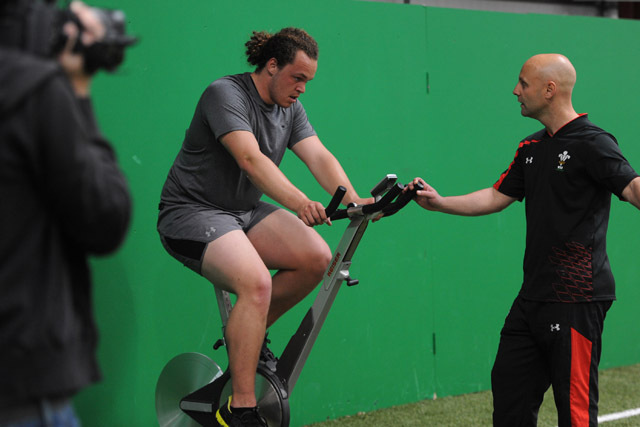 'Made' will follow the trials of 19-year-old, national rugby player Jake Robey. In the early stages of his professional career, Robey suffered a potentially fatal viral infection on his heart. The 60-minute episode will follow him as he seeks MTV’s help to rebuild his rugby credentials and belief in his own potential. It will run across MTV in the UK and Viva in Germany and will include on-air promotional spots in addition to billboards within the exclusive episode. 'Made' was created in house by MTV with all other aspects of campaign by Be Viacom’s creative team. Matt Shearer, Under Armour general manager EMEA and Canada, said: "Creating a show designed to motivate athletes to push beyond perceived limits of training is true to our core values and showcases innovation in our apparel and footwear. "We're delighted to be partnering with Be Viacom to tell the Under Armour story to a new European audience and support our brand ambition for continued global growth." Dave Sibley, executive vice-president and managing director, Be Viacom, said: "Our audiences love real-life stories of triumph over adversity and with a summer of sport on the way, this special episode of MTV 'Made' is sure to strike a chord." 'Made' will premiere on MTV on Sunday 15 July at 4pm in the UK, on MTV Germany at 6.30pm (CET) and on Viva Germany at 12:55pm (CET).